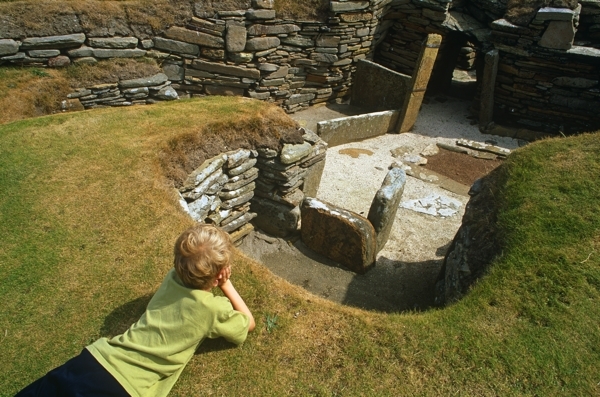 The Neolithic settlement of Skara Brae is one of the best preserved groups of prehistoric houses in Western Europe. Uncovered by a storm in 1850, Skara Brae gives a remarkable picture of life 5,000 years ago, before Stonehenge was built. Explore this prehistoric village and see ancient homes fitted with stone beds, dressers and seats. 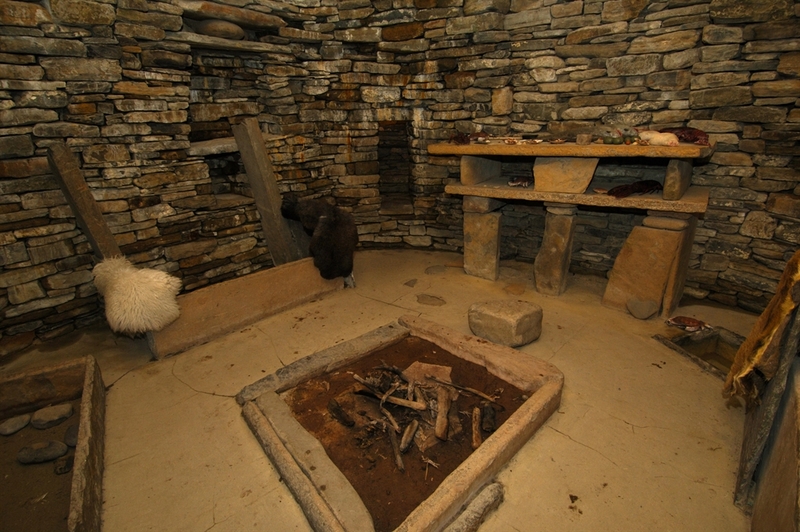 A replica house allows visitors to explore its interior, while the visitor centre provides touch-screen presentations, fact-finding quizzes and an opportunity to see artefacts discovered during the archaeological excavations of the 1970s. There is a cafe and a well stocked gift shop selling locally-made souvenirs and crafts. Joint ticket with Skaill House available April - September. 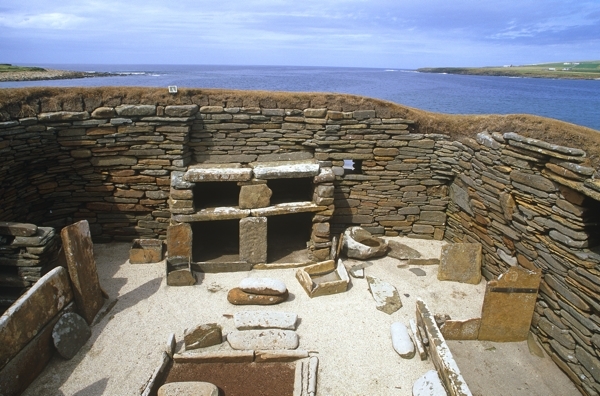 The Neolithic village of Skara Brae was discovered in the winter of 1850. 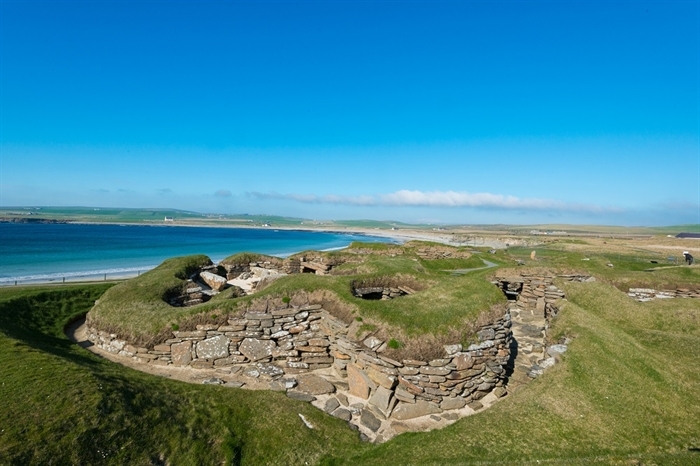 Wild storms ripped the grass from a high dune known as Skara Brae, beside the Bay of Skaill, and exposed an immense midden (refuse heap) and the ruins of ancient stone buildings. The discovery proved to be the best-preserved Neolithic village in northern Europe. And so it remains today. 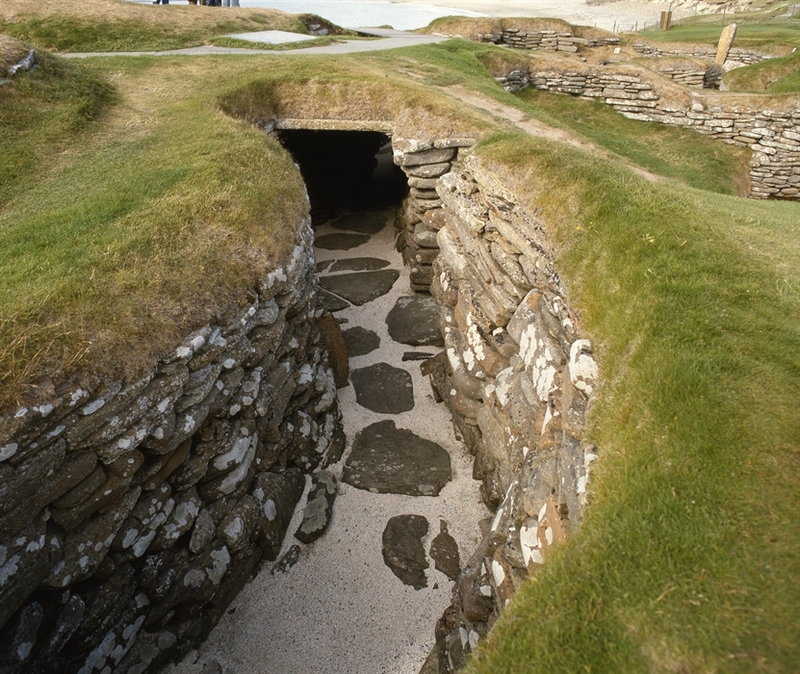 Skara Brae was inhabited before the Egyptian pyramids were built, and flourished for centuries before construction began at Stonehenge. It is some 5,000 years old. But it is not its age alone that makes it so remarkable and so important. It is the degree to which it has been preserved. The structures of this semi-subterranean village survive in impressive condition. So, amazingly, does the furniture in the village houses. Nowhere else in northern Europe are we able to see such rich evidence of how our remote ancestors actually lived. 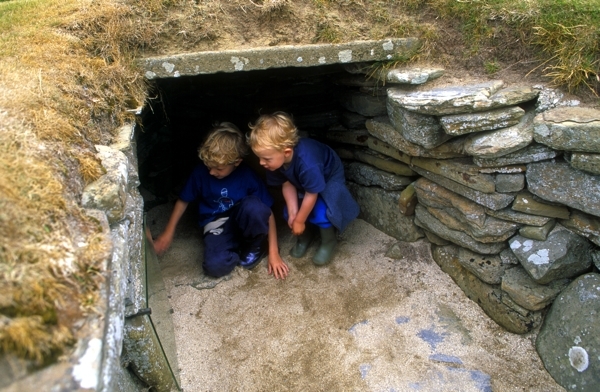 The profound importance of this remarkable site was given official recognition in 1999 when it was inscribed upon the World Heritage List as part of the Heart of Neolithic Orkney World Heritage Site. All the houses are well-built of closely-fitting flat stone slabs. They were set into large mounds of midden (household refuse) and linked by covered passages. Each house comprised a single room with a floor space of roughly 40sq m. The ‘fitted’ stone furniture within each room comprised a dresser, where prized objects were probably stored and displayed, two box-beds, a hearth centrally placed and small tanks set into the floor, perhaps for preparing fish bait. A rich array of artefacts and ecofacts has been discovered during the various archaeological excavations. They include gaming dice, hand tools, pottery and jewellery (necklaces, beads, pendants and pins). Most remarkable are the richly carved stone objects, perhaps used in religious rituals. The villagers were farmers, hunters and fishermen, capable of producing items of beauty and sophistication with rudimentary technology. No weapons have been found and the settlement was not in a readily defended location, suggesting a peaceful life. 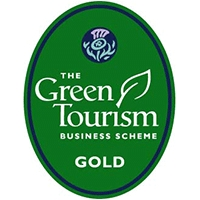 Most of the artefacts are now on view in the visitor centre, a short walk away. Village life appears to have ended around 2,500 BC. No one knows why. Some argue that it was because a huge sandstorm engulfed their houses, others that it was more gradual. As village life came to an end, new monuments were beginning to rise up on mainland Orkney, including most importantly the chambered tomb at Maes Howe and the impressive stone circles at the Ring of Brodgar and Stenness.